Following in the puddles of Marlow RC pararower Jordan Beecher, the “Bucks Buoys” team of Paul Smith, Kevin Luff, Nic Parslow and Trevor Cooper have teamed up to tackle the Atlantic Challenge (ie. 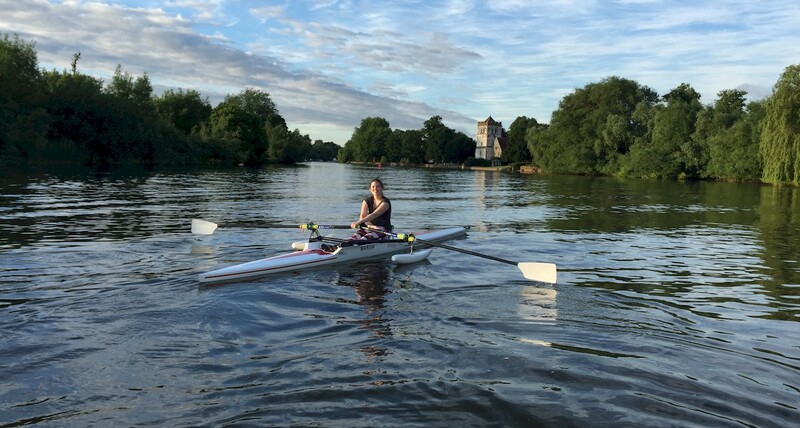 rowing the Atlantic) in aid of both Marlow Pararowing as well as MacMillan Cancer and IN-Vision. IN-Vision is the charity for Infantile Nystagmus whose patron is MRC club member and Paralympic Champion Naomi Riches MBE. 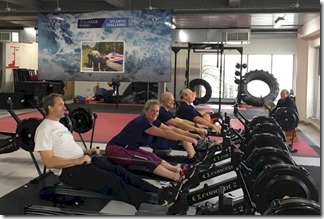 As a part of their training the “buoys” undertook a 24 hour erg row at Marlow with 2 hours shifts to simulate daily schedule of the Challenge. 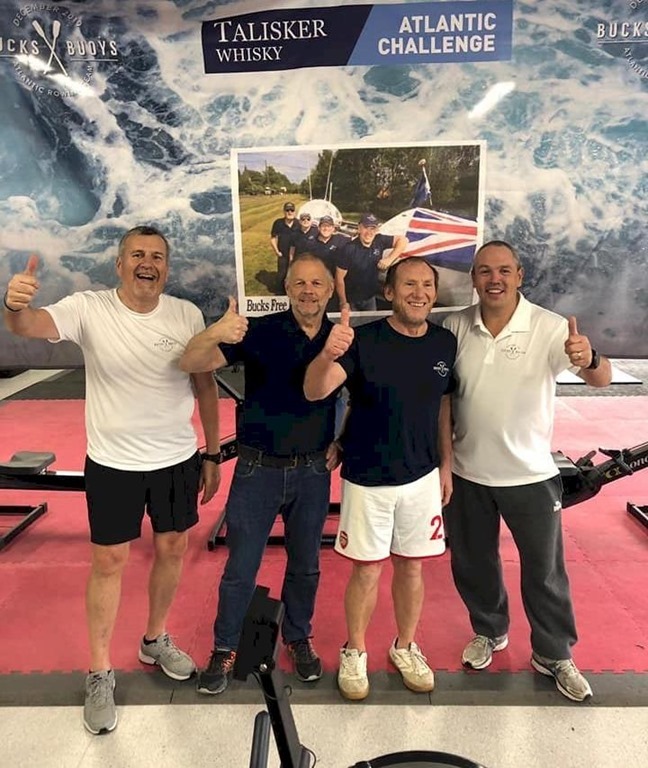 A number of the club and especially the para squad came down to support the team including some rowing accompaniment (Bruce Lynn and Nikki Stanton-Ketley are shown in the photo above). What was the objective of the 24 hour row? – Our objective was to test our fitness, stamina and organisational skills to show we are able to do this – all worked out very well. What hour was the best? – Definitely the last , we even managed an adrenaline fuelled sprint finish. How easily did you sleep during your 2 hour break? – Sleeping was the easist part for me – loved it!! How did you eat and drink? – Food was dehydrated adventure food the same as we will be eating on the crossing high in calories and low in taste, drink was lucozade sport. What was the sorest part of your body? – Sorest part of the body had to be the part in contact with the seat. Any lessons you will take with you to your trans-Atlantic expedition? – Lessons learnt are keep fed and hydrated and take as much rest as possible.